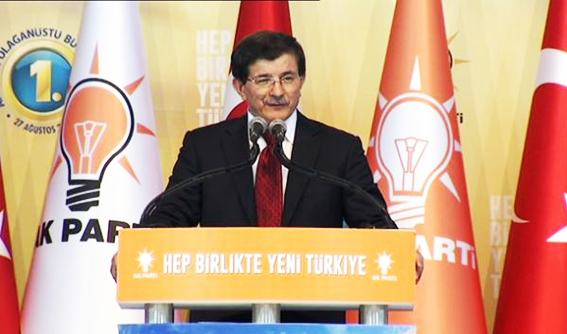 Prime Minister Ahmet Davutoglu held 60 percent of our commitments. Davutoglu, the Prime Minister’s Office in Dolmabahce Palace in Turkey’s investment in foreign-owned firms, representatives of met. The Government of Reform that have expressed said, “our promises and in the context of our reforms, we have promised in the first quarter, we have achieved between our commitments, our promises and we planned 60 percent of our reforms. Some of them we have submitted to Parliament. At the end of three months, this figure will be 100 percent,” he said. Davutoglu expressed that would not be the last of this first meeting with foreign investors. The expansion in diameter in both nature and scope of investments in the country and among the important goals of the country, stressed that the development tools is one of the most important of them. Davutoglu continues to come some good news about the economy, noting that “industrial production in the month of October showed a significant increase compared to the previous year at a rate of 4.6 percent. Reached the highest level since 2005. The index for the month of November increased by 3.5 percent compared to the same month of the previous year. Hopefully 2016 will be a much better year, a year will be fruitful,” he said.